Judi Lakin’s career has been engaged in all aspects of marketing communications, from strategic oversight to tactical implementation. She has worked in both the for-profit and nonprofit arenas. She has had marketing responsibilities for the Humane Society, a national automobile dealership advertising agency, a private college and a state university, as well as a large regional hospital. She has organized high-profile promotions including conceiving and implementing the Furrr Ball for the Humane Society. For the College of Business at the University of Colorado at Colorado Springs, she managed business events including a Lifetime Entrepreneur Achievement Award luncheon and The Economic Forum. 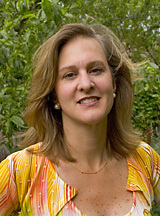 Her accomplishments include election as 2005 Woman of Influence, 2006 Women of Distinction finalist, Leadership Development Program Graduate — Center for Creative Leadership, co-editor of Pikes Peak or Bust: The First Fifty Years, a Pikes Peak Leadership graduate, and a Dale Carnegie graduate. 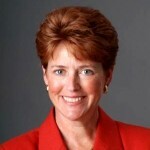 She has been president of the Southern Colorado Women’s Chamber of Commerce and the Junior League of Colorado Springs, in addition to numerous other board positions. Judi has worked on large-scale community events such as the organizing committee and public/media relations chair for the World Cycling Championships. Subsequently, she served as the public relations chair for a grassroots community bid to establish an Olympic Hall of Fame. Barry and his team of graphic designers lead BG&A clients with creative differentiation using concept development and design as “a secret weapon.” He firmly believes that in today’s competitive marketplace, the winners are those who differentiate with compelling brand communications. Barry has been leading his design firm for as many years as Brent has led BG&A (25+ years), making these two exceptionally compatible in their quest to build powerful brands employing the art and science of generational marketing coupled with unforgettable design. They have been working together on numerous projects since 1998. 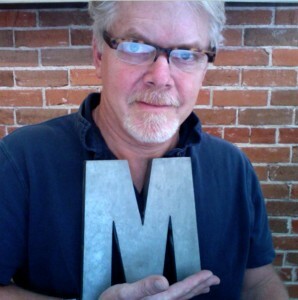 Barry is an active member of the American Institute of Graphic Arts, the Art Directors Club of Denver, and The Packaging Club of America. In addition to his time guest lecturing at local colleges, Barry advises young creative artists on business perspectives and industry insights. Barry welcomes collaboration with like minded professionals. He has been recognized for his talents with countless regional and national awards, including: Art Directors Club of Denver, Denver Advertising Federation, International Association of Business Communicators and the Los Angeles Art Directors Club. His work has been featured in numerous important publications including; Print, How, Communication Arts, Graphis, and American Corporate Identity, and is included in the CSU International Poster Collection. Strategist and account supervisor Susan Grattino is an experienced marketing and sales professional who helps companies identify, quantify, segment and communicate with their target markets through the development and execution of focused, integrated marketing plans and programs. She has extensive experience in company/product positioning, messaging, strategic planning, and marketing research. She has worked with sales and marketing teams to help them hone in on their customers’ key business issues and present solutions that are about the customer, not just about selling another widget or service. She has an exceptional background in technology and financial analysis, having managed diverse teams of collaborators, and she is adept at working with all levels of an organization to develop strategic partnerships, client relationships and project work groups. Susan has worked with BG&A clients for more than ten years. Susan has provided business and marketing services for an impressive line-up of organizations, including Shell Oil Company, Price Waterhouse, PepsiCo Inc., Mincom, Inc., Tactical Marketing Ventures, and Adelphia Communications. She holds dual degrees in accounting and management information systems from the University of Arizona and an MBA from the Thunderbird School of Global Management.